The A90 southbound slip road to Findon will close this weekend to allow work on the Aberdeen bypass. 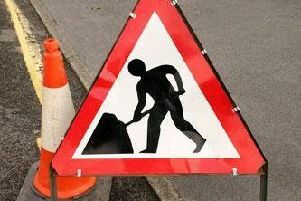 It will shut from around 8pm on Friday until 6am on Monday (April 23), as part of the AWPR project. The weekend closure, which will allow the contractor to install street lighting, is required for the safety of workers who will be operating within a confined works area. To gain access to Findon during the closure, road users should continue southbound on the A90 and exit at the Portlethen junction. They should then re-join the A90 northbound back to Findon junction from where they can continue their journey. A Transport Scotland spokesperson said: “The temporary closure of the A90 southbound slip road to Findon has been timed to take place over a weekend when traffic is normally quieter to help minimise the impact it may have on road users. “However, road users who would normally use this route should plan their journeys in advance so that they can reach their destination safely and on time.